Mark Monero joins the cast of THE HEALING at the Omnibus Theatre Clapham. Directed by Charles Lauder, THE HEALING has been longlisted for the Alfred Fagon Award. 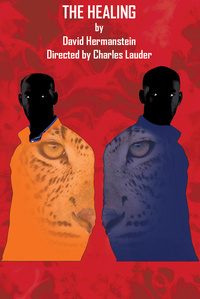 The play blends African-Caribbean myth with drama and urban realism, and plays a short run in April. Anna-Marie Wayne will be part of the new WAR OF THE WORLDS immersive show, opening in May 2019 in London. The show blends interactive theatre with the world of VR, in a complex and brilliant piece based on Jeff Wayne's WAR OF THE WORLDS. Tickets are available to purchase here now! Jung Sun Den Hollander joins the cast of Ricky Rodriguez Jr's BED PEACE: THE BATTLE OF YOHN AND JOKO at the Cockpit Theatre. Jung Sun plays Yoko Ono during the infamous 'bed in for peace', in a show that blends the music of the Beatles with the Lennon/Ono relationship, set against the politics of the time. 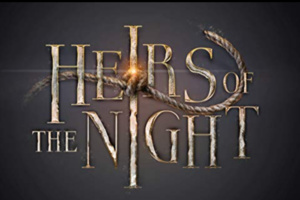 Annick Christiaens joins young adult television series HEIRS OF THE NIGHT. This series is a European co-production, and Annick plays the role of Baroness Audrey de Peyra. She joins a pan-European cast in this vampire project, due out later this year. Adam Lannon joins the cast of Rikki Beadle-Blair's play MY DAD'S GAP YEAR at the Park Theatre. He joins Alex Britt and Michelle Collins in this brilliant new comedy, written by Tom Wright. To buy tickets, go to the Park Theatre website. 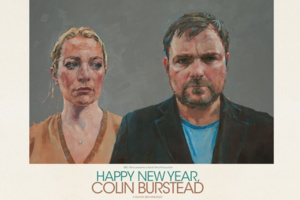 Core clients Sura Dohnke, Mark Monero and Nicole Nettleingham all are part of the brilliant British cast of Ben Wheatley's feature film HAPPY NEW YEAR COLIN BURSTEAD. Shot in Portland, the film centres around an extended family coming together to celebrate New Year's Eve, and its cast includes Neil Maskell, Charles Dance and Joe Cole. 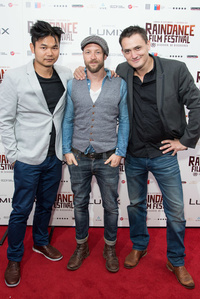 NIGHTSHOOTERS premiered at London's Raindance Film Festival, where it was in competition for Best British Film. The feature stars Jean-Paul Ly, Doug Allen, Nicholas Aaron and Ben Shafik. Jean-Paul Ly, Nicholas Aaron and Doug Allen all team up to star in upcoming feature NIGHTSHOOTERS. 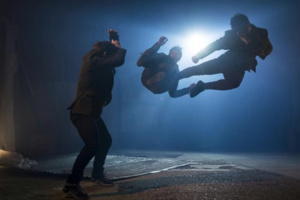 A martial-arts-meets-British-gangster masterpiece, the film is written and directed by Marc Price and is being released by Ascendent in the UK in summer 2018. The film will also be distributed by Lightning Entertainment. If you look out, you might even see a couple of cheeky cameos from Philip Barantini and Wendy Glenn! Sam Benjamin's series THE FEW has been turning heads by bringing home win after win on the festival circuit. The British superhero web series has been victorious at Festigious International Film Festival, Gold Movie Awards and New York Film Awards, winning multiple awards to include Best Web Series and, for Sam, Best Actor. Not seen THE FEW? Watch it here on YouTube! 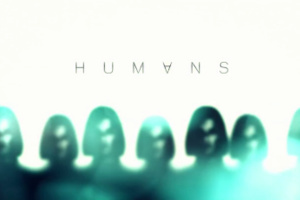 Philip Barantini joins the cast of AMC/Channel 4 series HUMANS. Now in its third series, Philip plays a brilliant multi-episodic role... but no spoilers here! Look out for it in 2018. Just when the festive season was nearly over, India Semper-Hughes shot scenes for SURVIVING CHRISTMAS, a great British comedy feature film set for release at the end of 2018. Doug Allen guest leads in Sky One's new drama BULLETPROOF. Starring Noel Clarke and Ashley Walters, and produced by Nick Love, the series is billed by Deadline as one of the 'Ten International Dramas to Watch in 2018' - and we can't wait. Denise Stephenson joins the cast of the much-anticipated West End transfer of MARY STUART. 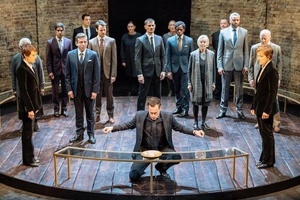 After a successful run at the Almeida, Juliet Stevenson and Lia Williams reprise their roles as the two queens for a short run at the Duke of York before setting out on a limited tour. 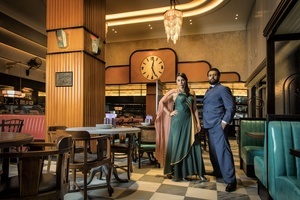 Vikash Bhai plays the lead role of Cyrus Irani in NIGHT AT THE BOMBAY ROXY. This clever piece of new writing was designed for the site-specific production at the new Dishoom Restaurant in Kensington. The show sold out within a days, and all tickets for the three-day extension sold out in less than an hour. Vikash Bhai joins the infamous cast of BIRDS OF A FEATHER for the Christmas special for 2017. This Retort/ITV special will be one of the highlights of the festive period. Will Bowden features in Yesterday's new show THE STUARTS. Shot in beautiful rural Wales, the series shows the rise to power and turbulent times of the Stuarts. The series will be out later this year. Polly Maberly guest leads on BBC's new series SHAKESPEARE AND HATHAWAY. This great, fresh daytime drama focuses around two private investigators, and is due to be aired in late spring 2018. Adam Lannon goes to M.A.R.S. Adam Lannon is currently in Budapest, shooting on the highly-anticipated second series of M.A.R.S. for National Geographic. Fresh from her graduation from Royal Central School of Speech and Drama, our brilliant Polly Edsell will soon be seen in commercials for the new Jaguar X540. Ben Mars has just completed filming shooting on the second season of BERLIN STATION. This new series of the show is set for release in the autumn in the US, we’ll let you know when and where it’s airing over here!